Books and movies used to have dark references to a confinement ‘treatment’ where the victim would get hammered but not a trace would be seen outside on the body. It wasn’t morbid fascination but more the scientific curiosity of my early years. But never mind my strange childhood – that’s not the point. Now imagine being subjected to this treatment AND coming out of it feeling good. No? Well, it’s real. Torche manages to pull that stunt off with aplomb on ‘Restarter’. Torche is one of those artists – and the only metal act – whose entire collection (to the best of my knowledge) of albums and EPs I have. It wasn’t always so though. I had first come across them in 2008’s brilliant ‘Meanderthal’ and then went on to the EP ‘Songs For Singles’ and the 2013 album ‘Harmonicraft’. A couple of events conspired in my completing the collection recently. Some miserable blot on the human landscape made away with those 3 CDs of mine earlier this year and then about a month later the band came out with superb new material on ‘Restarter’. So I went around searching to see if I could find the FLAC files of all the albums. It took a teeny bit of work since they are spread over different record labels but I found all of them on Bandcamp. And no, I didn’t mind having to buy those three albums again in addition to the ones I didn’t have earlier because Torche is well worth it. After the relatively bright cheeriness (this is a doom band?) of ‘Harmonicraft’, Torche have come back with a heavyweight. This new one is a wise beast, knows its strength, is perhaps more thoughtful in its moves but retains all the meanness of its younger days. No wailing, shrieking guitars here – well, actually there’s a bit of it but it comes cloaked in deep swathes. The heaviness of Torche’s form of metal is hefted by the almost unbelievably low drone. You won’t find here samples of individual virtuosity in searing flourishes or pounding drum blitzes.This is a band – all together, tight, all the time. ‘Annihilation Affair’ sets the tone straight away – with no carefully crafted buildup, that low, heavy sound wraps you in from the first strike. It may seem odd to say this for a doom metal album but ‘Bishop In Arms’ is one of the best punk sounds I’ve heard in recent times. It’s also characteristic of the Torche sound to blend stoner/doom metal, punk, pop yet make it all sound right. Even for an album loaded with great tracks, ‘Minions’ stands out. If you had to pick just the one track from this album that captures its essence, it would have to be ‘Minions’. Ear-worm. It took me a couple of weeks after buying this album to pay attention to any of its other songs. That good (or maybe it’s just me). Still if you wanted a real short summary…that no-bruises-pounding-treatment-yet-happy-ending (gaaah!) that I wrote about? All of that is distilled into just 100 seconds on ‘Undone’. The only flaw – more like a minor quibble – I feel on the album is the simple, hard rock of ‘Loose Men’ which doesn’t seem to fit in here too well. And although I find the length of the album-closer (standard edition) title song at over 8 minutes at variance with the short blasts on the rest of the album, it makes up with its mesmerising repetitive sections. 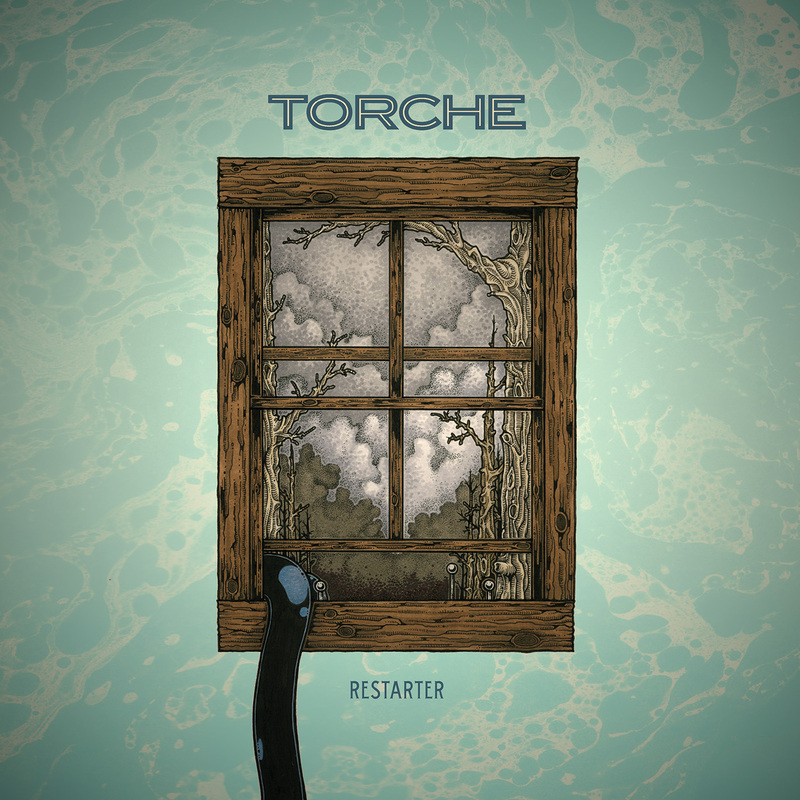 For all the excellence of Torche’s previous works, ‘Restarter’ is in my opinion its best yet. It is certainly the most played album of the year in my ears but without slipping into overplayed territory. It’s been on when I have needed catharsis through virtual violence yet also when I have been exultant. I have used it to calm my cats when they’ve been antsy and way too talkative – in a departure from the usual they don’t run away; they just stay put while it plays and resume their chatter when it ends. Odd but true. I always hit punishing higher resistance levels on my exercise cycle when ‘Annihilation Affair’ or ‘Minions’ comes up on the playlist. That is till I wrenched my back chasing the cats. But I digress. I have run experiments to figure out the minimum volume of play when the glass slides of the edge of the table, when the window just about starts its rattle. I could go on; it’s been my constant music companion. But you get the point – I love this album. Simple truth. And I think it’s worthwhile getting the extended edition of the album. I did.